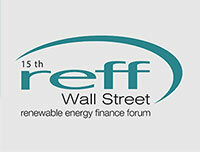 NEW YORK, NEW YORK – June 12, 2018 – With the continued success of the GameChange Capital Intro™ program and its 2017 Capital Intro™ Summit, GameChange Solar is excited to return to REFF Wall Street. 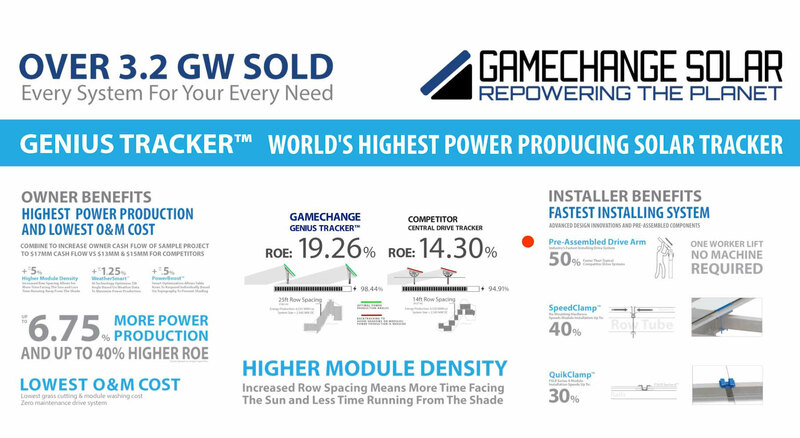 GameChange will share how the Genius Tracker™ offers the highest power production and lowest O&M cost for owners. The GameChange Solar Genius Tracker™ has higher module density with increased row spacing which means more time facing the sun and less time running from the shade. In addition, the Genius Tracker™ offers additional benefits to financial owners such as (lowest) LCOE and (highest) ROE. These, along with the benefits to the installer, are what makes the GameChange Solar Genius Tracker™ the best choice for solar tracker systems.